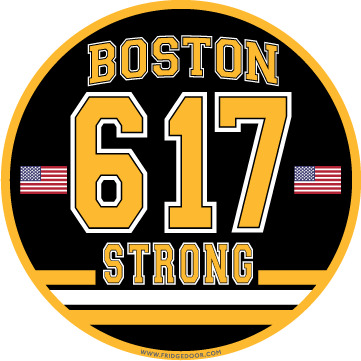 Celebrate the strength of the Boston community with this Boston Strong 617 car magnet. Done in Boston hockey colors, this magnet proudly displays your Boston pride. This all-weather car magnet measures 5" in diameter and features a full magnetic back.